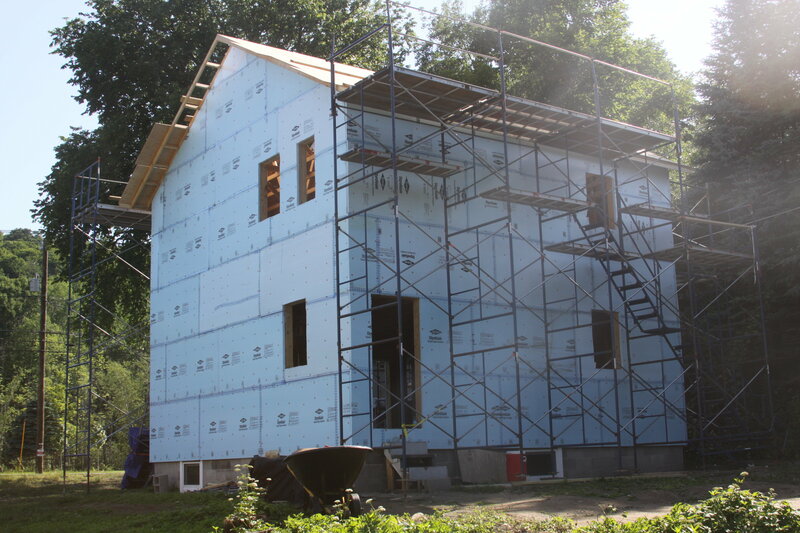 What: This week we will be roofing, installing doors and windows, and preparing for siding. If you are interested in volunteering, please contact our volunteer coordinator Katiana Selens (kselens@berkshirehabitat.org) or our volunteer engagement coordinator Aliza Mendelowitz (amendelowitz@berkshirehabitat.org) to notify us of your desired build day. This will help us to accurately plan for the expected number of tasks and leaders necessary for the day. We greatly appreciate your flexibility as the days shift and change. Thank you! It's hot and sweaty! It's rewarding and impactful! Currently, we have openings for groups or individuals to join us on the job site this August 11th, 18th, and 25th. We will be building from 8am to noon on Fridays and 8am-3pm Saturdays.Volunteers take part in all aspects of home building, from framing walls to installing insulation to roofing or landscaping. We are open to all skill levels!We schedule on a first come first serve basis so please be in contact as soon as possible to secure your preferred date. To schedule your group’s day on site or to confirm an individual day of service, please contact our Volunteer Coordinator Katiana Selens (kselens@berkshirehabitat.org, 413-442-3181). "My memories from my beginning are mixing with a parallel experience from those relatively new to the team. Just mixing old and new; coming together and clicking. It was a great energy today, wow. Today's experience must have been the concept of depth".